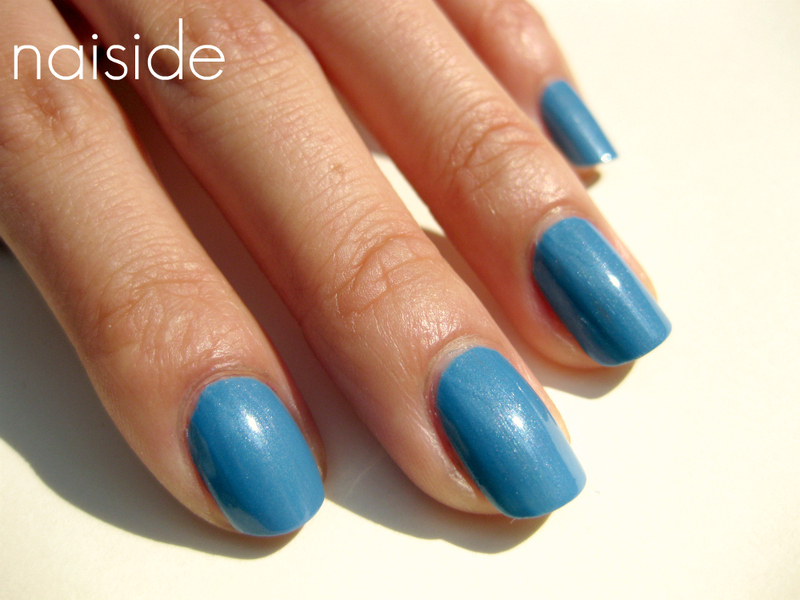 Hi lovey readers, today I have a beautiful color to show you: Essie Coat Azure from this year's spring collection. Coat Azure is a slightly muted - but still fresh - medium blue which makes me want to go to the beach, RIGHT NOW! It has this subtle but noticeable shimmer that turns this polish into something very special. I'm a huge creme- and blue-lover so I'm really happy to have this polish joining my collection. The formula was really good, I only needed two, thin coats for opacity and the drying time was pretty okay too, so I'm sold! What are your thoughts on this blue beauty? Shim, shimmery, shim shimmery, shim shim sher-ee! you make me want this. bad. i think i don't have enough blue.